Shocker. Shock. Awe. So many people, if they get followed, follow back automatically. Now that’s okay. However, it is very difficult to pick through the clutter and find the information that you really want to find. That’s not a bad thing, it’s polite. But some of us feel that it’s what we have to do. It’s social media etiquette and let me tell you, you don’t have to do it. The thing is, you do need to follow back some people. Otherwise you won’t have anyone. To give an example of myself. If you wish me to follow you, say it’s on Twitter; now our Twitter handle is not @marketingforowners it’s @marketingowners. Because Twitter has a 15 character limit and I don’t think it quite fits in with the F-O-R in the middle. But if you Google Marketing for Owners Twitter, that’s where you find us. I do actually have a personal handle, but I can’t even think of the last time I was on there because we do the action on Marketing for Owners. Maybe I mention something over there. But if you want me to Follow you. You need to engage me. We don’t need to get married. You just need to say hello. You need to say something, with my name on it. I will see my @ replies. I check my @ replies. I always look at my @ replies and if you ask me something or say something nice or comment nicely or something like that. I will reply. I am engaged and if I do, I will generally then look up and think “Ooh. Who’s that?” and then I will follow you. But if you just follow me, (loads of people follow me, I’m quite fortunate) because I have a podcast, videos, website or I may not follow you back. In fact, I get followed so much that we just crossed the 20,000 follower mark. What get’s me are the people that talk to me and chat on social media. That’s all you’re after. Now this follow me, follow you thing came about from all sorts of Auto Follow policies with Twitter and all these kind of stuff, but I don’t go for it. And it’s also the fear of missing out. The FOMO. By the way ,I’m not really super trendy, but I do know these acronyms and things. I had to google that when I first heard it. Fear of missing out. It is a huge thing. Huge thing with lots of us, including me, and lot of us follow people because we’re not quite sure. But trust me. If you want engagement which is what you want. Just follow the people you are interested in following and the people you want to talk to, or the people you absolutely want to listen to; because there are some that you just want to listen to. Say for example, Gary Vaynerchuck, or as many people know him, Gary V. — He is a fabulous social media activist, one of the best. But, you may follow him, he may not follow you back. But you absolutely want to listen to him because he knows his stuff and you can learn from him. But if it’s just a friend, why do you have to follow him back? Or your family? If people aren’t active as well, why follow someone who doesn’t put a picture up there. Why follow someone who hasn’t posted in the last couple of months? Don’t waste the space. Of course if you, you do have on too many, get them on to lists. That’s another thing but that’s for another day. I’m just telling you. 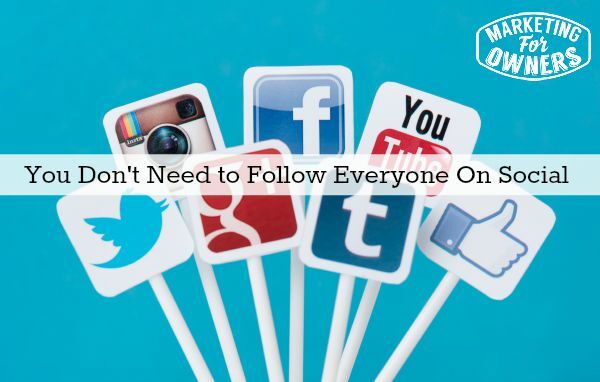 You do not have to follow everybody who follows you on social media. Talking about social media, it’s Wednesday. So we’re going to have a friendly follow. Normally, I give you a fair, better detail about the person. But today, I’m not. I’m going to challenge you to go look it up for yourself and decide if you want to follow her. 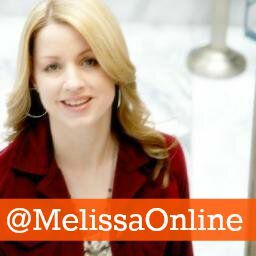 This is Melissa of Melissa online. She is great. You may have noticed that I actually only recommend people to follow on Twitter who are great exponents of the tweeting art. How many people are you following on social media?